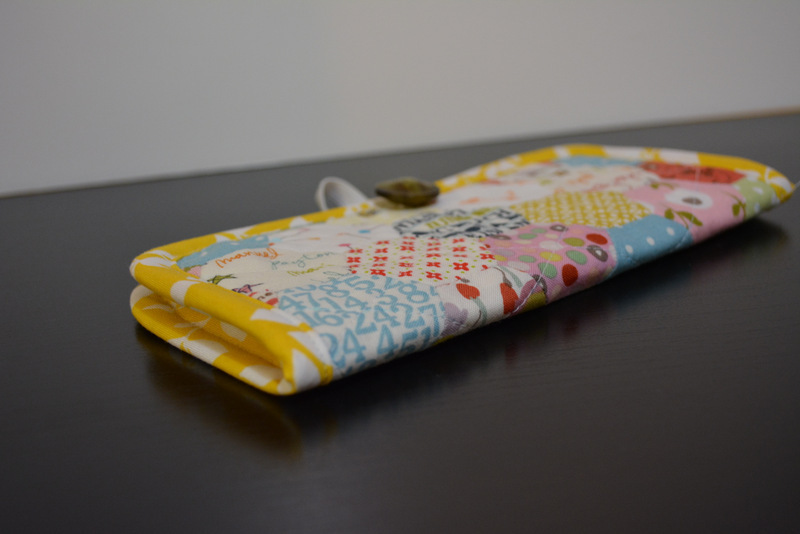 For the second time I entered the Pretty Little Pouch Swap over on Flickr. This round I wanted to do something a bit different for my partner. 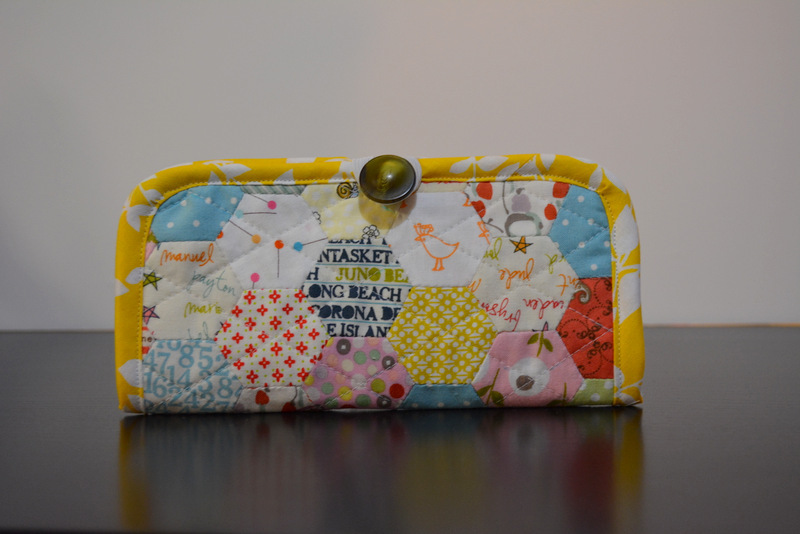 She mentioned that she likes hexies and patchwork, so I decided to combine both and made her this wallet using scrappy hexies. 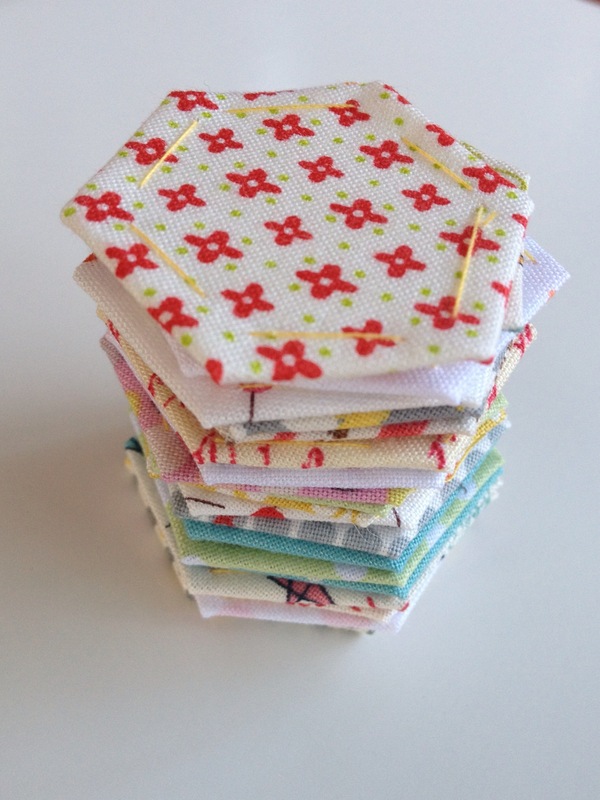 I spent about a week piecing the hexies (mostly during my commute to work). It actually felt really good having a little project to do while on the go, and paper piecing is great for that. 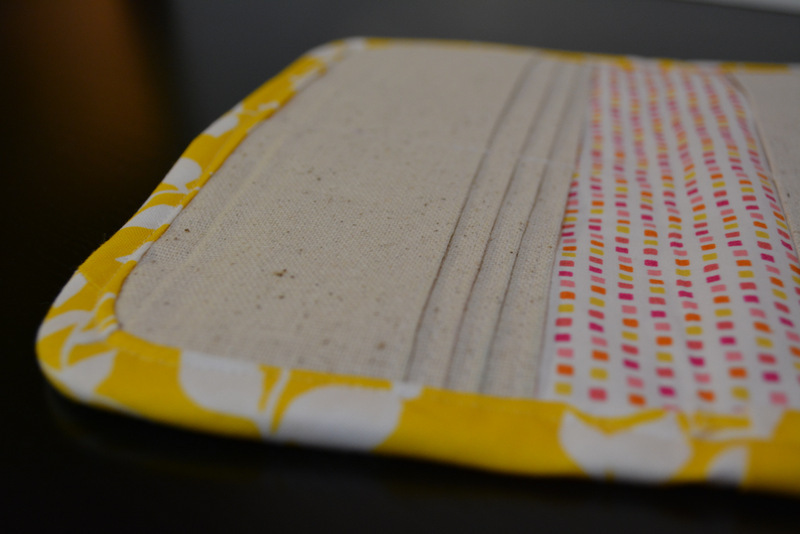 The basic pattern for the wallet is from one of my favorite books Bags: The Modern Classics. The pattern is lovely and very easy to understand as the other patterns from the book. I mailed the wallet to my partner this week and I'm anxiously waiting to hear from her how she likes it. I hope she does:) . I think I want to make one for myself.